You might have a thousand reasons for wearing spy glasses. Perhaps you enjoy taking excursions through nature, and you want to upload a video of your adventures to YouTube. Perhaps you want to record a conversation with your boss. Whatever the case, just like a spy pen, a good pair of spy glasses can come in handy. Sometimes spy glasses can record adequately, but the placement of their lens is tremendously obvious. That’s not necessarily a bad thing. 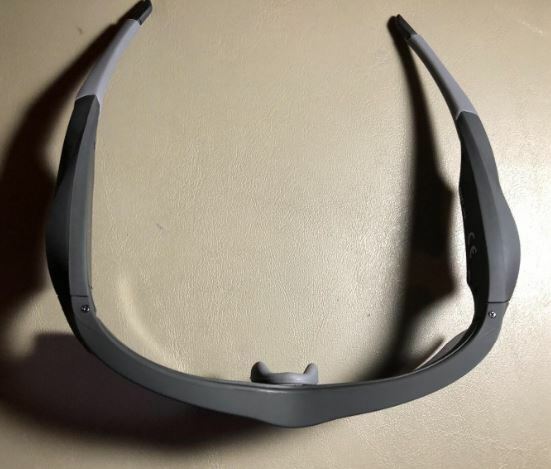 Because some people using these glasses won’t care if other people know about the recording. In fact, sometimes you might even want someone to know you’re recording. But choosing a good pair of spy glasses can be tricky because those kind of subtle details can be easy to overlook. Anyone who’s owned a pair of glasses can tell you that they tend to be fragile. If you’ve ever heard someone talk about buying glasses made with a carbon fiber frame, that’s not simply a marketing gimmick. Toughness matters, especially when you’re paying more than a couple of bucks for your glasses. In addition to a general sense of value, paying attention to the construction of the glasses can inform you about their comfort and longevity. Though when you’re thinking about the longevity of these kinds of products, a five-year timeline is probably the maximum you can expect. Not because they physical frame will fall apart, but because their built-in batteries will have deteriorated to a point of futility. You may or may not care about the visibility of the lens. If you’re interested in using spy glasses in a discreet fashion, it’s important to notice that some lenses are hidden better than others. The most obvious lenses are positioned clearly, and may even have an LED to give an outward indication recording has begun. The less obvious pairs usually make an attempt to camouflage the lens as a design of some sort, and occasionally make it possible to obscure the lens when necessary. True to their name, just about any good pair of sunglasses will protect your eyes from the sun. But how do you look while they’re doing it? Because there’s a recording device involved, spy glasses are often built to look as generic and inoffensive as possible. This is partially so they do not draw attention to themselves with an exceptionally stylish frame, and partially because there are fewer style options when you’re trying to cram a camera into some glasses. Though style is subjective, it’s probably worth considering for an object you place on your face, like sunglasses. How do you get your video files off the sunglasses? Typically, this will be done through removable SD card, or through built-in storage paired with a USB connection. USB connections are more common than removable cards. 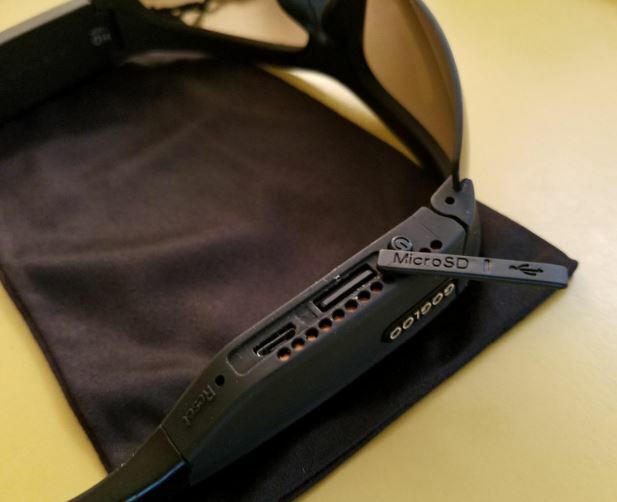 Unfortunately, most spy glasses are still constructed around the USB 2.0 format, which can make it tedious to draw large quantities of video files off internal storage. How much internal storage do they provide? When dealing with a built-in memory capacity, you typically want to aim for about 32GB of data storage. Though 1080p files are relatively small, so even if you end up with 16GB storage, you can still capture hundreds of hours of footage. In most cases, you’ll recharge video sunglasses through USB. A good pair of rechargeable batteries ought to be able to last through between 30 minutes and 90 minutes of recording. It depends largely on the sunglasses, and on the circumstances where they’re being used. Also, you should be on the lookout cameras that are powered by external batteries instead of built-in batteries. They can be costly and tedious to replace. Whether you’re talking about security cameras positioned outside of a warehouse, or you’re looking at driving cams, they all share one thing in common. Surveillance footage almost universally relies on 1080p resolution, even though there are higher resolutions available. Because 1080p is really all you need for clear viewing. Going beyond that doesn’t really yield many benefits, but it will create larger files that are harder to handle. Of course, there’s more to video quality than resolution alone. For instance, how does the recording handle poor lighting conditions? 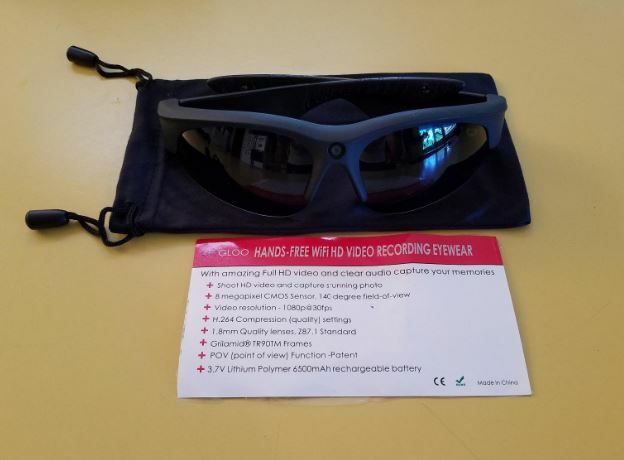 Gogloo’s Video Sunglasses look like pretty ordinary sport glasses, something you might see worn by a bicyclist or fisherman. The unisex design is adequate for either men or women, though it’s arguable these glasses have a slight masculine lean to them. 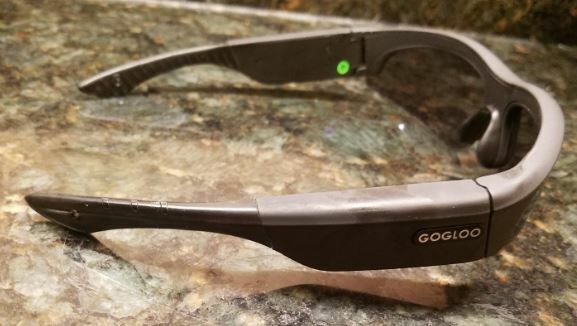 Keeping things simple, Gogloo’s glasses operate with a one button design. That button placed subtly out of the way, so pressing it looks like you’re adjusting the glasses. Once recording, the wide angle lens used by the built-in camera captures a pretty wide view of your surroundings. It’s almost panoramic in nature. Like any great pair of glasses, their frame is made to be durable, comfortable, and of course lightweight. Looking more closely at the components, you’ll find everything is non-allergenic and resistant to impact. For people who are recording through extreme temperatures, you’ll appreciate they’re temperature resistant as well. The includes protection from rain and snow. And due to being polarized, their 1.8mm lens blocks out UV as well as harmful blue light. Gogloo Video Sunglasses weigh about 7 ounces, which make them pretty hefty for a pair of sunglasses. Though the weight is a little jarring at first, it’s ultimately not a detriment to their comfort, nor their stability when worn. Their universal size matches their universal design, though people with larger heads may find them a bit of a stretch. The 10-megapixel sensor is fairly impressive, though it’s somewhat similar to the kind of sensor you’d find inside a $50 smartphone. Dual stereo microphones provide a fair amount of noise reduction for your audio recordings, which certainly outstrips the capacity of most smartphone recording. The lens shoots in a 110-degree radius. If you’re running down a sidewalk, that allows the lens to capture anything that’s in your peripheral view. If you don’t know exactly what you want the lens to be focused on, this wider angle is usually the best way to go. The battery is a 650mAh lithium-ion cell. It’s not enormous, but that’s because of weight concerns. The battery has a maximum recording capacity of 90 minutes, at least, if you have a full charge. Getting a full charge takes about 40-minutes. KAMRE glasses are pretty ordinary in appearance. Opinions about fashion vary from one person to the next, but its doubtful many people will find these fairly lenses objectionable. Clearly, attention was paid to comfort. These aren’t a camera first and sunglasses second. Rather, they’re sunglasses that also happen to have a camera onboard. There are actually two versions of the KAMRE Sunglasses Camera. The first version includes a standard lens, while the second version is constructed with a wide angle lens. A narrower lens is much better at capturing some types of interactions, like conversations. The glasses themselves are constructed around a frame of durable ABS plastic, which was partially chosen because it’s impact resistant. They’re slightly rubberized which makes them comfortable against skin. And they weigh about 2 ounces, which is basically as light as any other pair of similar sunglasses. KAMRE glasses use a one button operation, letting you initiate recording with one tap. The indicator light on the left arm of the sunglasses will begin flashing when you’re recording, and will remain on while in standby. Data is recorded to a micro SD card, but one isn’t included. The maximum supported card is 32GB. The operation button is on the outside of the left arm. Pressing the button for two seconds will boot up the camera, and initiate automatic video. Once recording, another press of the button will save and stop the recording. Once it’s saved, the camera enters standby mode. Another tap is necessary to initiate recording. Not totally intuitive, but easy to get the hang of quickly. KAMRE Sunglasses are capable of recording in full 1080p HD. With the classic version of these shades, you capture at a 65-degree angle. Even though the small microphone port is well hidden, audio quality is quite good. 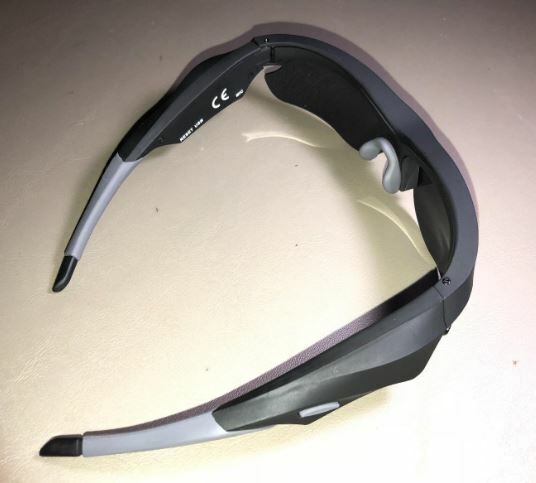 It even picks up the wearer’s voice with great clarity, though it’s not well shielded from the wind. Configuring the glasses is relatively simple, but not exactly what you’d call modern or user friendly. You make changes by altering a text file that’s generated to the memory card. That’s slightly more complicated than some people will want to undertake. It includes a case for the glasses, a USB cord, power adapter, microfiber cleaning cloth, and a user manual. The manual provides some good advice about getting the most from your battery, but it’s nothing that an experienced user would need to learn. You’ll have to provide your own SD card. The camera is powered by a 460mAh lithium battery, capable of working for about 90 minutes between charges. However, you can only record 10 minutes of video in one pass. The battery is capable of about 30 minutes of constant recording. These glasses are compatible with both Mac and Windows. There are actually two versions of the OhO Sunshine Waterproof Video Sunglasses. 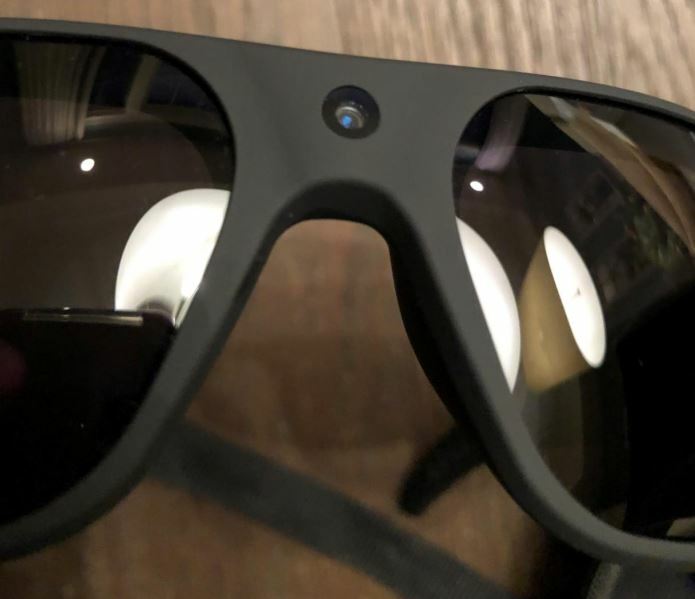 The first version is constructed around standard smoke lenses, which protect you from light while not totally making your eyes invisible to onlookers. The smoke lens look muted, similar to a pair of sports glasses. The second pair are constructed around silver mirror lenses, which provide a reflective surface for people who are looking at you., while the reflective lenses are trying to look more stylish. Apart from that, both pairs contain essentially the same features. 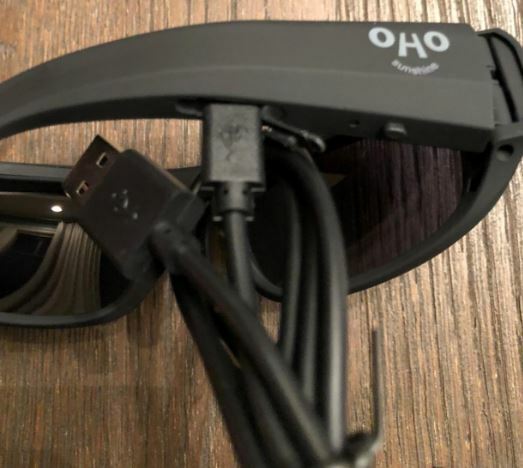 Like the other spy glasses on this list, OhO Sunshine glasses capture video content in 1080p HD, with a framerate of 30fps. That’s just a touch above the framerate of typical broadcast television. The photos you capture are also saved in 1080p. Being able to take photos isn’t something that every pair of spy glasses is able to do. However, getting the photos to look nice can be tricky because you have to be relatively still while taking the photo. 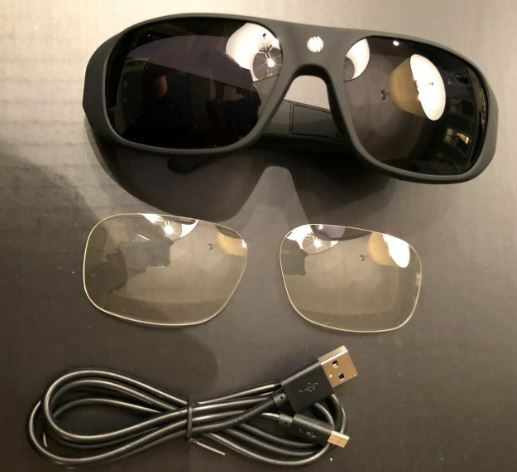 These video glasses were the first to be constructed with an IP66 waterproof rating, ensuring you can do anything short of shove these glasses into a pool. For people who are surfing or driving through rainy weather, there’s no worries. The frame is impact resistant, as are the lenses. And of course, the lenses provide UV protection. 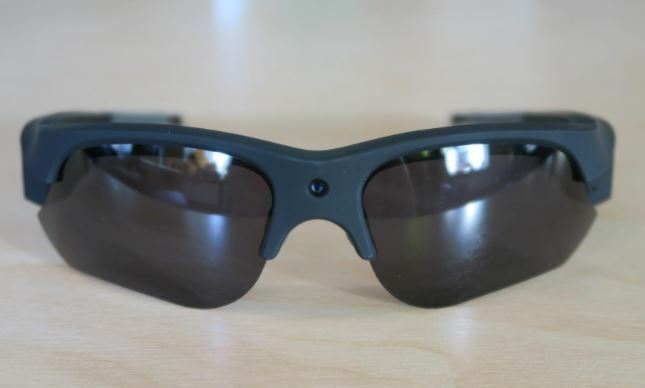 Similar to the Gogloo Video Sunglasses and KAMRE Sunglasses, these are built around one button operation. One tap will turn on the glasses. A few more taps and you’ll be able to capture photos, get vibration alerts, and start capturing videos. 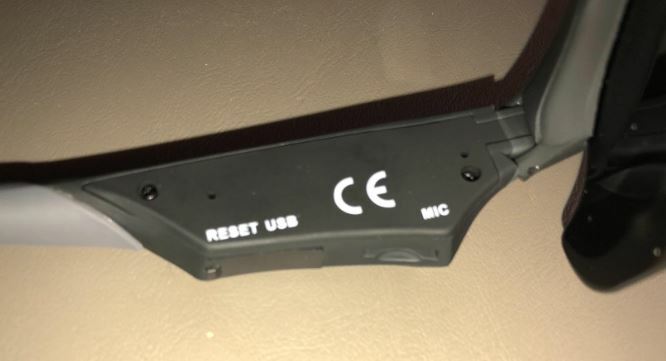 An LED indicator lets you know when recording is happening, but it’s hidden away so you have to remove the glasses to view it. You capture about one hour’s worth of footage, which is recorded into 32GB memory. That memory is built-in, so you don’t have to worry about bringing your own SD card to these glasses. 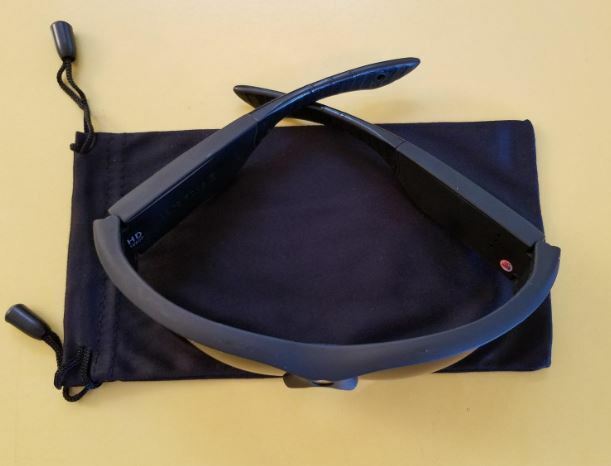 When you need it, content can be pulled from the glasses using the included USB cable. By editing the camera’s settings, you can turn on timestamps. You’ll need to edit a text file that’s saved on the glasses. Not very intuitive, but within the capabilities of anyone who’s willing to take the time to try. For data transfer, these video sunglasses support any version of Windows that was made in the past two decades. There is equally wide support for Mac OS. Gogloo Video Sunglasses are a good option for glasses with a wide angle lens. They’re great for capturing video of hiking, biking, motorcycle riding, and so forth. The unisex design is noteworthy because spy glasses tend to be built for men. Their night vision is pretty formidable, and the 90-minute battery surpasses most of its competitors. 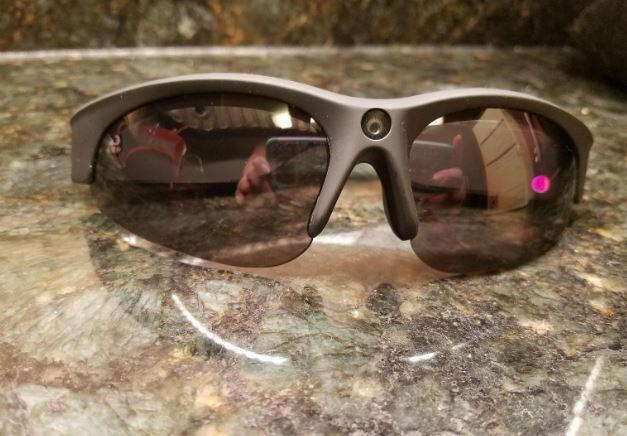 The KAMRE Sunglasses Camera is inexpensive, but still provides all the essentials necessary for a great pair of polarized spy glasses. They’re available with either a focused lens or a wide angle lens, making them an excellent choice for someone who knows precisely what they want to record. The pair which uses a 65-degree angle lens is great for taking shots focused on the things directly in front of you, like recording a conversation. OhO Sunshine Waterproof Video Sunglasses give you the best aesthetic options with their lenses. You can choose smoked polarized lenses and reflective polarized lenses, both which have their own distinctive style. Connecting with the built-in memory is simple, too. If you’re interested in style above all, these glasses combine form and function very well. Which one has the best video in low light? Forestfish Sunglasses has the best video in low light. 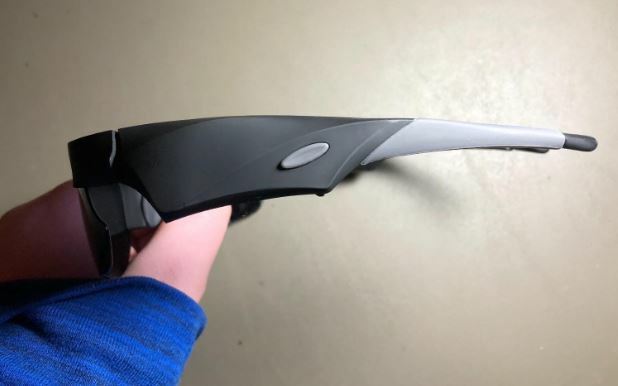 looking for spy glasses that can have RX lens installed.